All models are shot blasted and have a high quality powder coat paint finish. 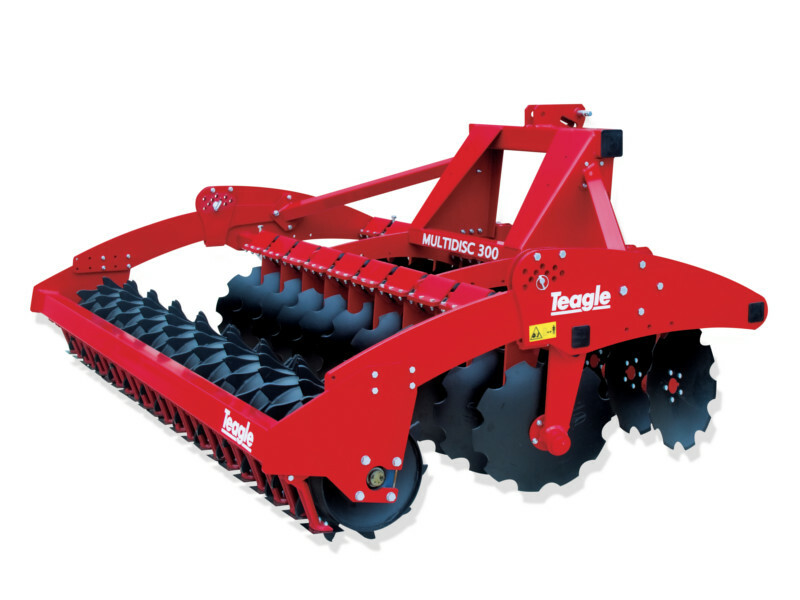 Teagle Disc Harrows have a range of features to ensure ease of operation and straightforward maintenance for a long and trouble-free service life. Designed for light non-stoney soils to control working depth of cultivator. Keeps the soil stream inside the working width to prevent ridging. Rings spaced at 165mm. Clearing knives positioned between each ring ensures effective cleaning / reconsolidation. Classic all-rounder suitable for most soil conditions reconsolidating across the width. Heavy duty all-rounder suitable for most soil conditions reconsolidating across the width. Heavy duty roller suitable for most soil conditions leaving a castellated finish reducing erosion and retaining moisture in the soil.